The handheld folding fan is made of woodfree paper and 100% natural bamboo that is strong and durable. It's lightweight and foldable, fits nicely in your handbag when closed, take it out to get more air when the weather is too hot, easy to carry in daily life. Comfortably hold the folding paper fan by the secure handle to cool off during a hot day. You can paint it with beautiful drawings or words, use to decorate the wall of your house or office, or as a special gift sent to friends. 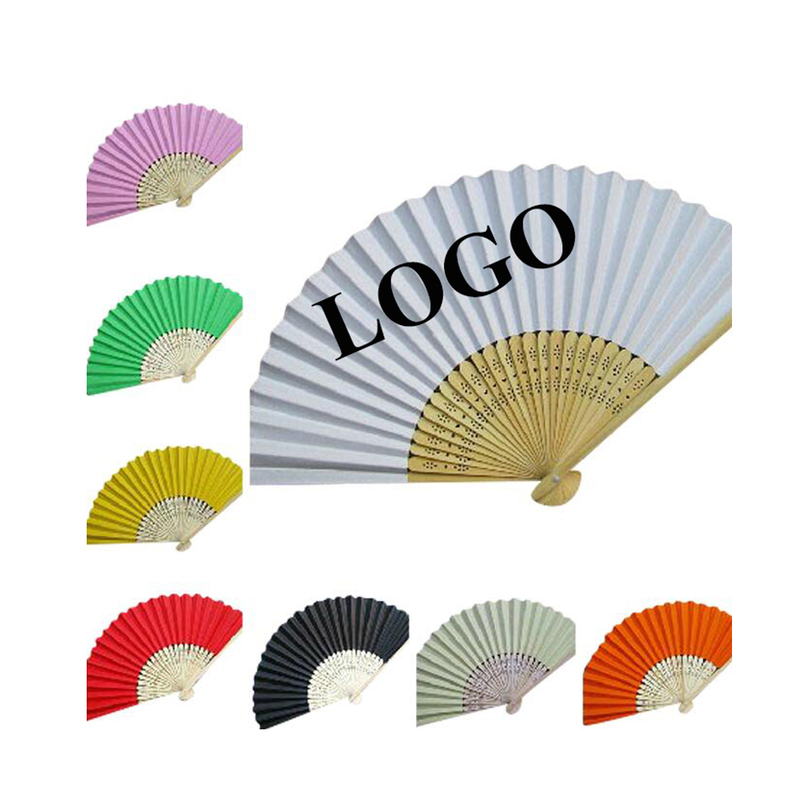 The custom fan is also great for bridal dancing props, church wedding gift, party favors, great home and office's wall DIY decor, stages performance show props, etc. Please feel free to send item number by e-mail to get the latest price.